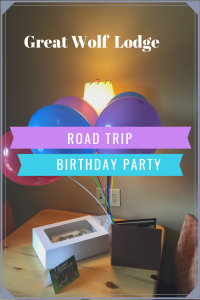 What do you do when you are on a college road trip for your oldest son and your youngest son has a birthday right in the middle of the trip? We faced this problem on the trip this summer. 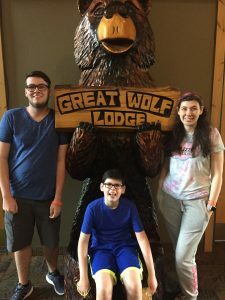 My wife and I tackled this head-on with a stay at the Great Wolf lodge in Cincinnati Ohio. 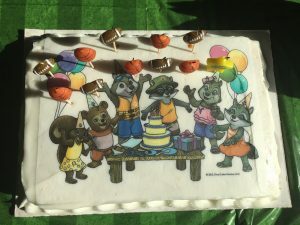 Some things you need to know about this, our youngest son is 5 years younger, this was his 11th Birthday than our oldest son and 10 years younger than our daughter. He is a really sweet and loving kid. He is also autistic. All of that coming together, we were really worried about how this would go. 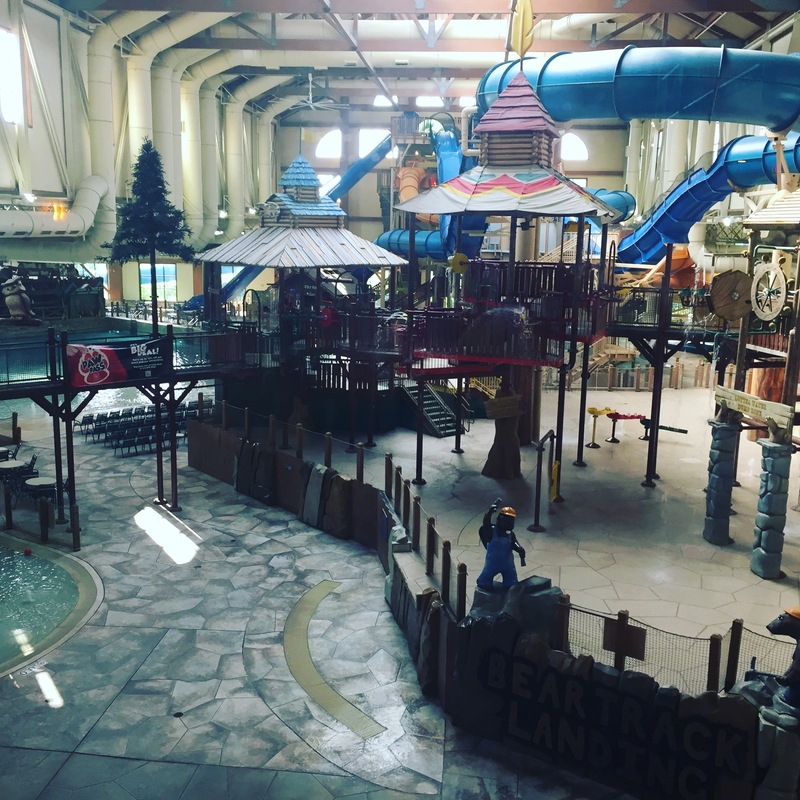 We made our first trek to a Great Wolf Lodge for my oldest sons 10th Birthday. That time we headed to the Pocono location, but we really did not do the birthday stuff that time. 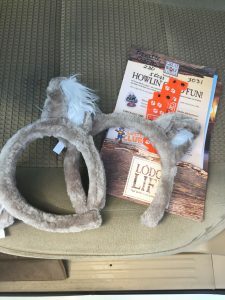 Great Wolf Lodge made it easy to do a birthday, I simply ordered it all on their website. The package we ordered came with a personalized birthday cake, and balloons in the room. A happy birthday sign on our door when we got there and a credit toward a birthday meal in one of the restaurants. Checking in was really simple. Since we were already close by we got there right at the start of the check-in window and I would recommend that. Our check in was fast and easy, but later in the day, that line got kind of long. When I checked in, they gave me cute Wolf Ears for all of the kids and our wristbands that allow access to the water park. Almost as soon as we checked in me and the boys headed for the water park. We walked around the indoor park being sure to let Ethan take it all in. He decided he would start with the smallest slides and work his way up. We all had a blast. This might be the first place we have been where everyone got to do what they wanted. We all got to ride every slide, even my wife rode the family with us. That was a hoot in its self. We swam and slid all day until we were exhausted. Slides and Pools. 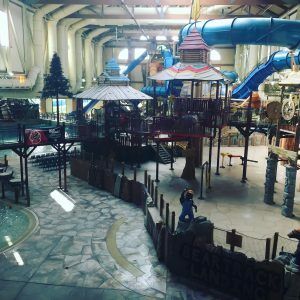 Great Wolf Lodge has a slide for everybody. No kidding, if your child can sit up I think they can find at least one slide for them. Some are just a few feet long and barely make a drop and some three or four stories tall that wind and drop in and out of the building. In the evening, the kids all headed out to do the “Magi Quest”. This evolves going up and down floors and shaking a wand at stuff. This is really fun for the kids but can be really annoying for adults. If your child is old enough and you trust them enough to go roam the halls at the resort while you relax in the room or in the lounge great. If not, this can take hours and hours to complete before they get to fight the dragon. Magi Quest can also get expensive. 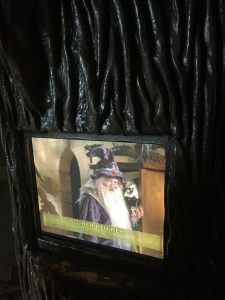 you have to buy a wand, and of course, there are all kinds of decorations and upgrades you can pay for, but a basic wand will work just fine. Some things you need to know about this, our youngest is 5 years younger than our oldest son and 10 years younger than our daughter. He is a really sweet and loving kid. He is also autistic. All of that coming together, we were really worried about how this would go. If you do not know autism varies wildly from person to person. In our son, it is mostly sensory. We worried that it would be too loud in the water park for him, and some of the other activities would just be sensory overload. We were pleasantly surprised. It may have been the best part of our trip.